Johnny Manziel recently sat down with former NFL coach and ESPN analyst Jon Gruden for his "Quarterback Camp" segment. Most people know the 2012 Heisman Trophy winner as Johnny Football, but he says some don’t even know his real name. 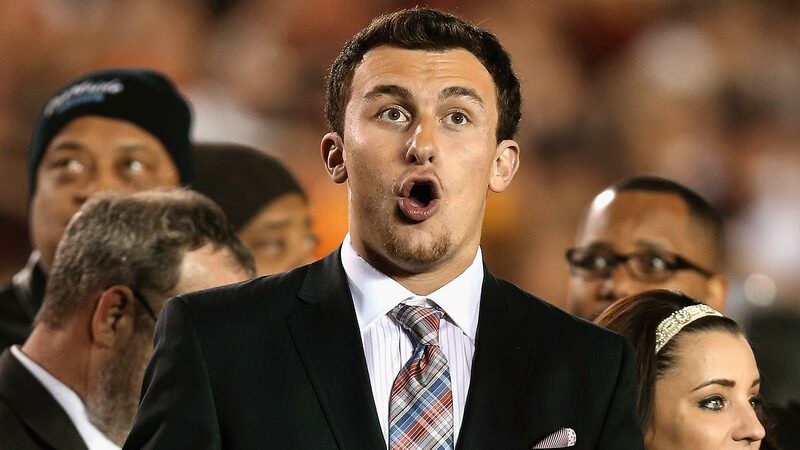 "And I do like (the nickname)," Manziel said. "At the same time, it’s really, it’s almost — I get people that come up to me that I don’t even think they know my last name. They just know — people call me ‘Mr. Football.’"
Gruden also asked Manziel why he drew so much attention to himself with his celebrity lifestyle after his freshman season at Texas A&M. "My mom always told me ‘There’s a time and a place for everything.’ And during the spring and after the Heisman, when things happened so fast, I did too much," he said. "And I put too much on my own plate and didn’t say no enough and should have said no more. And should have stayed in my realm and stayed in College Station and hung out."